Pubs are where Londoners hang out of an evening, to relax and while away the time. 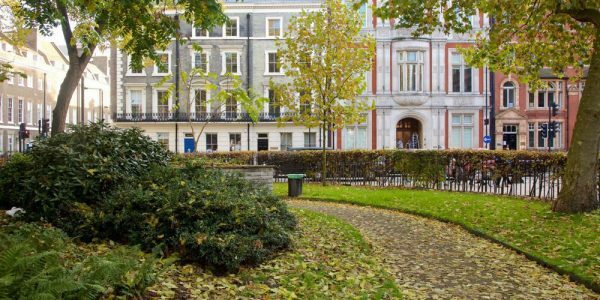 There are so many pubs in the Bloomsbury area, around the St Athans Hotel, one for every mood, that I thought I might write about a few favourites in the hope you manage to avoid any dour, boring or fake pubs – of which there are unfortunately quite a few. Most pubs offer food, though to be frank, it’ll be pretty standard fayre (except The Harrison and The Duke). 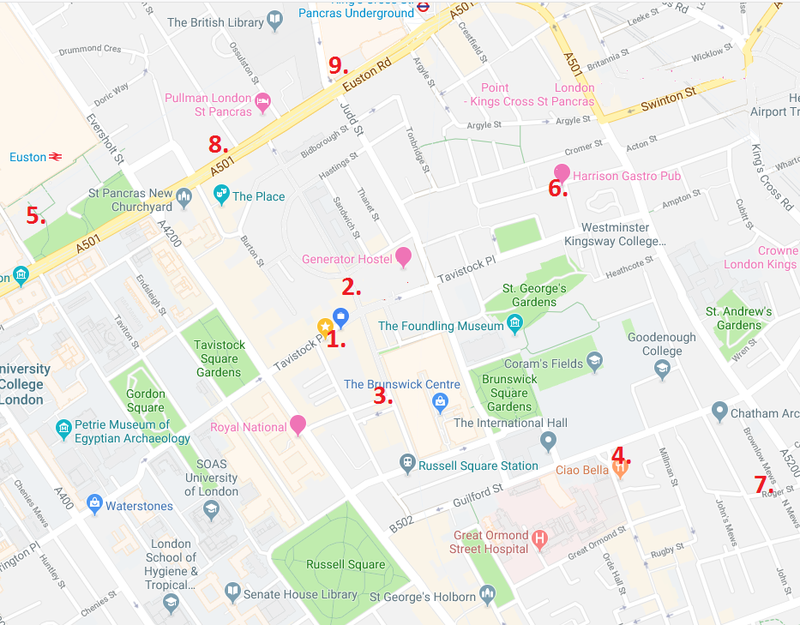 I’ll write about pubs worth visiting a little further afield across London, in another post – but for now, all these pubs are a maximum of 10 mins walk. A word about British beer. Tourists often come to England with tales of flat, warm, sulphur smelling beer – which is maybe what you would have been served 20 years ago, but there has been an explosion of micro-breweries in the UK recently so you’re likely to get a decent drop of ale at wherever you go. So I would definitely recommend you try the various types of beer now on offer – ask for half pints and you’ll be able to try a few without needing to get a cab back to the hotel just around the corner! Cider is worth a try. Cider is fermented apple juice, sometimes called Hard Cider in the States, or apple wine in central Europe. England is famous (in England) for its numerous ciders, which are recently having a well deserved revival. Dry, medium or sweet, some are carbonated in the French style and some are flat, like scrumpy. If a pub takes itself seriously, they may also be a Perry for sale, which is a sweet cider made from Pears. Always ask what the alcohol percentage is as some are knock out strength! The nearest – the Lord John Russell, Marchmont St. is a typical traditional London pub, which also shows some of the bigger sports events like the Football and Rugby World Cups. 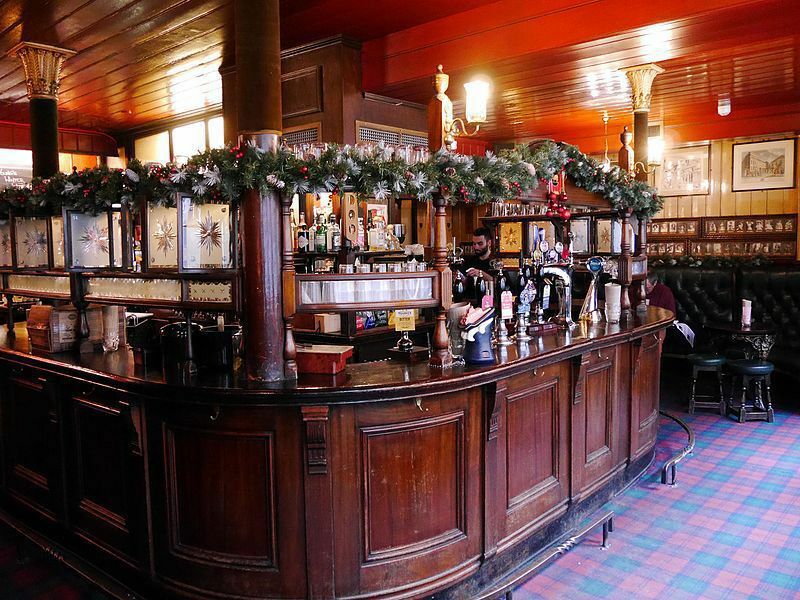 Vibrant – the Marquis Cornwallis, the other end of Marchmont St. thinks itself more hip and consequently likes to play its music really loud, creating a vibrant and lively atmosphere. Craft beer – The Euston Tap, just outside Eustion station, is well known for its variety (usually more than 25 cask and keg beers on tap) and ever changing beers from the UK and around the world. Gastro pub – The Harrison, Harrison St. has food worth reserving for, and sees itself as a restaurant/pub – especially known for its Sunday Roasts served for lunch. It also has a music venue downstairs with something on every night of the week. Atmospheric – The Duke, on Roger St. is a lovely 1930’s pub that’s worth the extra walk down some back streets to get there. Serves decent food, and has a real fire on cold nights. Open late – The Rocket, on Euston Rd, is a sport bar type pub open much later than normal pubs, so if a late night nip is in order then this is the place. It can get really busy too, so expect a bustle. Cocktails – George’s Bar, Euston Rd, is part of the St. Pancras International complex, in this area’s most beautiful building. The interior has been recently exquisitely renovated, and the staff are very attentive – expect prices to match. Don’t forget – Drink responsibly, and remember that the St Athans is a family hotel, so please don’t return late, loud and boisterous – children will be sleeping and guests won’t appreciate being woken in the night. Signup to our newest blogs!